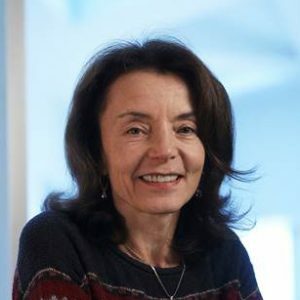 Dr. Ana Langer joined the Harvard School of Public Health in July 2010 as a Professor of the Practice of Public Health (Department of Global Health and Population), and director of the Women and Health Initiative and the Maternal Health Task Force. Dr. Langer, a physician specializing in pediatrics and neonatology and a reproductive health expert, is respected as a leader in using research findings to influence policy and improve the overall quality of health care for women and families. Dr. Langer has conducted research and published extensively on maternal mortality; psychosocial support during pregnancy, labor, and the post-partum period; quality of maternal health care; unsafe abortion; emergency contraception; the introduction of evidence-based practices in maternal health services; and strategies to improve quality care in low and middle income countries. In September of 2015, in collaboration with experts from all over the world Dr. Langer published the comprehensive report Women and Health: A key to sustainable development in the Lancet. The paper lays out the foundations of this novel concept and provides the evidence to fully demonstrate the critical roles of women in terms of their own and their families’ health, and the development of communities and nations. Before joining the Harvard School of Public Health, Dr. Langer was president and CEO of EngenderHealth (2005-2010), an international not-for-profit organization. Based in Mexico, Dr. Langer was the Population Council’s regional director for Latin America and the Caribbean from 1994-2005 and the director of the global reproductive health program in 2002 and 2003. Previously, she was the chair of the Department of Research in Women and Children’s Health for the National Institute of Public Health in Mexico, where she led clinical trials and other research projects on maternal and child health, and established the first master’s program in reproductive health in Latin America in partnership with the WHO.